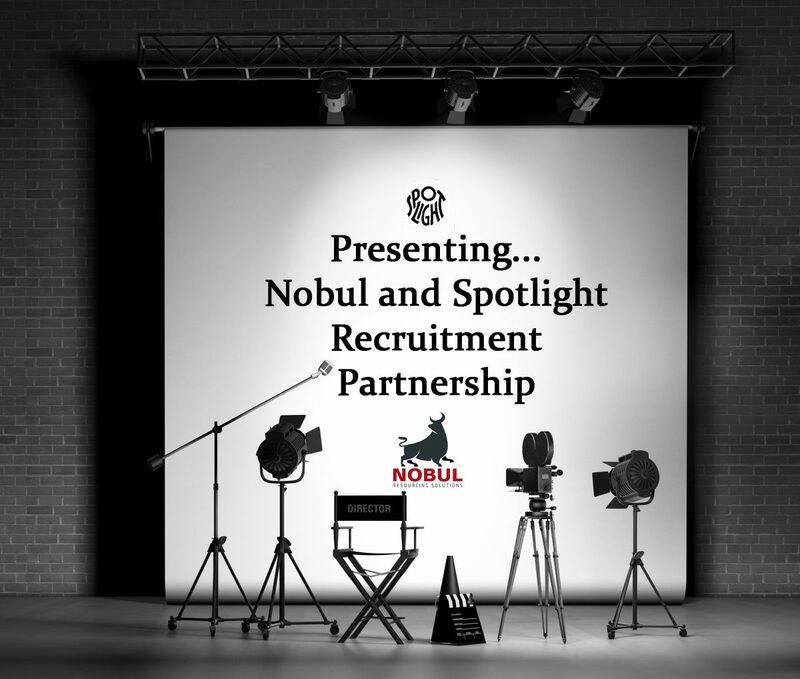 Nobul are excited to announce a recruitment partnership with the UK’s leading casting agency Spotlight, the ‘hub’ of the acting industry. Celebrating their 90th anniversary this year, Spotlight connects performers with roles in theatre, television and film productions using a strong innovative approach. Casting professionals choose Spotlight to cast their projects because performers on Spotlight are recognised as the industry’s best. Richard Wilson, COO of Spotlight, commented ‘being a relatively small but growing company, one of the biggest challenges we had at Spotlight was the amount of time we were spending on recruitment. We would advertise directly and use several agencies, but our hiring managers were spending a large amount of time writing job specs, reviewing CV’s, completing several rounds of interviews with candidates. However Nobul has taken all this off our hands. We chose to partner with Nobul due to their simple approach to recruitment. They quickly immersed themselves into our business, taking time to understand our culture and working closely with the senior team to understand our business goals. This has allowed them to quickly take ownership of the whole recruitment process from writing job specifications, conducting interviews and building a talent brand/pool for future recruitment. If you are interested in working for an awarding winning casting agency check out Spotlights current job vacancies here. Also, feel free to send over your CV to Jobs@Spotlight.com for future vacancies. NOBUL Managed Service Recruitment is a bespoke solution for businesses with 25-500 staff. We take on your entire recruitment process, from building a talent brand to writing job descriptions, and from identifying the best talent on the market to securing it for your business. Nobul by name, Nobul by Nature! The Nobul Approach.